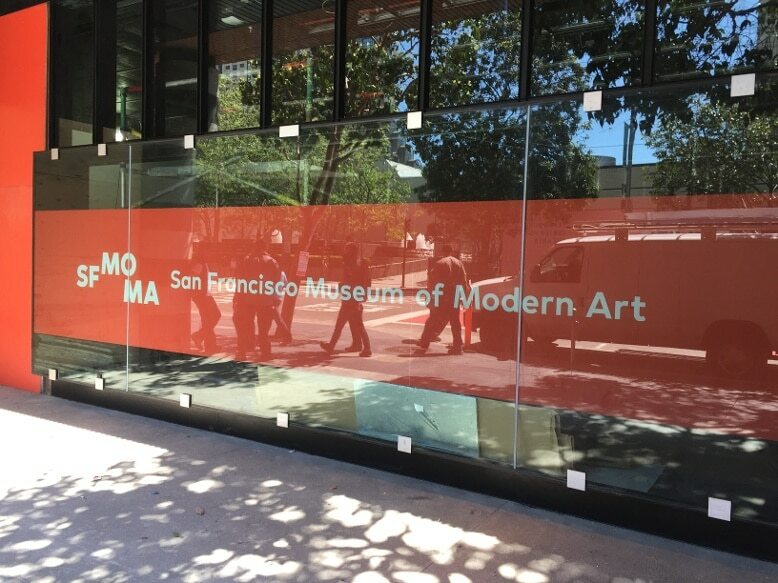 Home/Media /Continued work with San Francisco Museum of Modern Art! After a 3-year hiatus, our partnership with the MOMA continues. This time for the grand opening of the museum’s newly expanded space. 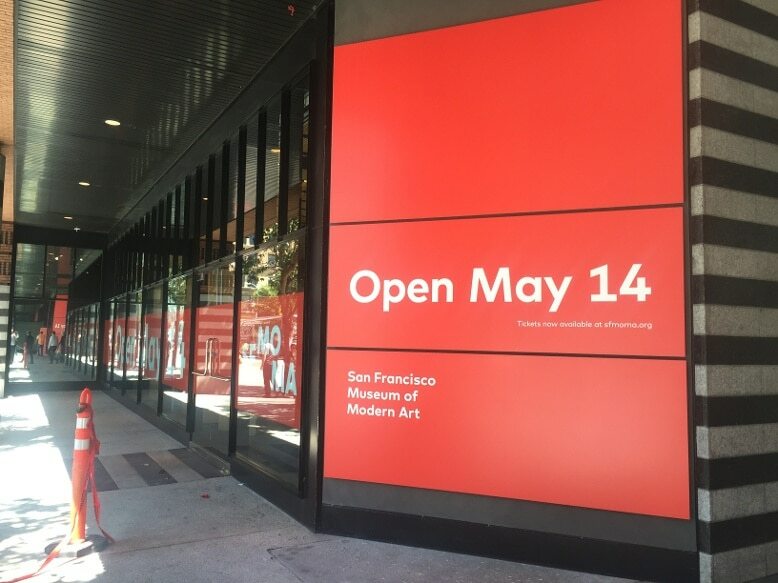 We worked together with the museum staff for two rounds of graphics; the pre-opening leading up to the grand opening (taking place the 14th of May) and the opening itself.Here we present some of the graphics we produced and installed together with the SFMOMA employees, leading up to the opening. The main goal of the graphics was to spread their message to the public, through window and wall graphics. Take a look at the pictures and let us know what you think! Also, be sure to stay tuned on our blog for a follow-up post with pictures of the grand opening’s graphics! Can we help fulfill your graphics needs? Give us a call today for a complimentary consultation on how we can help visualize your ideas!